The family of a well-known farmer who died last year during the Ploughing Championships said that they will attend this year's event in memory of their late loved one. During the first day of the Ploughing Championships last year, Martin Kehoe Jr (33) stayed behind in Co Wexford to keep an eye on the family farm and to be close to his newborn son. The dad-of-three was emptying a feed tank that contained some Pot Ale syrup, a by-product from the distilling industry, when he was overcome by fumes and tragically died on September 19. 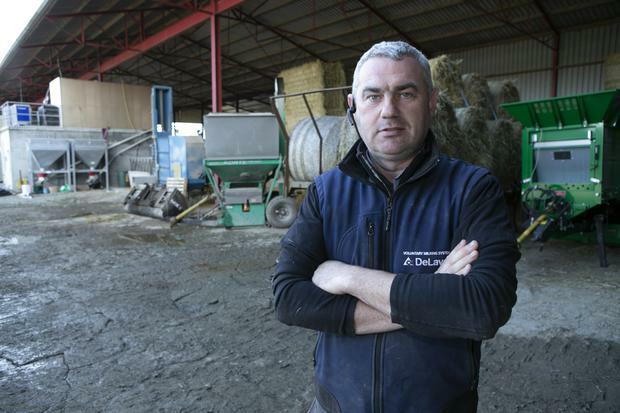 His older brother, Willie John Kehoe, was busy manning the Kehoe Farming stand at the show just outside Tullamore when he received the devastating news. "The first day of the Ploughing last year is a day that has changed our family's lives forever. It devastated our family and everyone who worked on the farm," Willie told Independent.ie. While the first day of the Ploughing Championships is a day that the Kehoe family will never forget, the family are planning to attend this year's event in memory of Martin. The Kehoes have been synonymous with the Ploughing Championships ever since Willie John and Martin’s grandfather William Kehoe won the Irish senior title in 1941 and his son Martin Kehoe Snr went on to take the World Ploughing Championship title three times in the 1990s. Both Willie John and Martin Jnr won national titles. "We will be going. We usually have a stand but I don't think we'll be up for it this year. 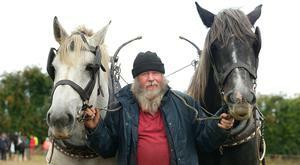 "The Ploughing has always been part of our lives. We have to keep going and keep Martin's memory alive. It'll be a sad time but life has to go on." Speaking to the Independent.ie on the family's busy farm in Co Wexford, Willie urged other farmers to slow down. "Just be careful. Life is too precious. The heartbreaking anguish that is left behind is the tough part. It's not until it knocks on your door that you see that." Willie added that there is too much pressure on farmers, especially after the past year where they battled the snow, drought and the fodder crisis to name a few. "There is a lot of pressure on farmers. At the end of the day, we are at the bottom of the pay scale. We suffer the consequences of all the weather. It's been very difficult. Farmers are already worried for the winter, but it's important not to panic. Everything will work out, and there are more important things in life." He said that this extra pressure is adding to the number of tragic accidents on farms. According to the Health and Safety Authority (HSA), there were 24 work deaths in agriculture in 2017, marking the eighth year in a row that the sector recorded the highest number of work-related fatalities. "A farmer is a vet, a machine-operator, an accountant etc. No other profession has to cover as many bases. We're trying to get everything done and beat the weather. It puts huge pressure on farmers and unfortunately that's when accidents happen. We've been at the brunt of that ourselves last year. "It's the lack of thinking for one split second that changes everything. If all of us could just slow down for a minute. The work will be done. Back when we were younger, working on a Sunday just didn't happen, unless you were harvesting corn, and it didn't make any difference, and everybody had a family day on the Sunday. "These days everything is 'now'. There is no such thing as tomorrow. Everything has to be done now and that does put pressure on farmers. "The work is always done. It doesn't matter at the end of the year. We're all dependent on the weather and we're all in the same boat." 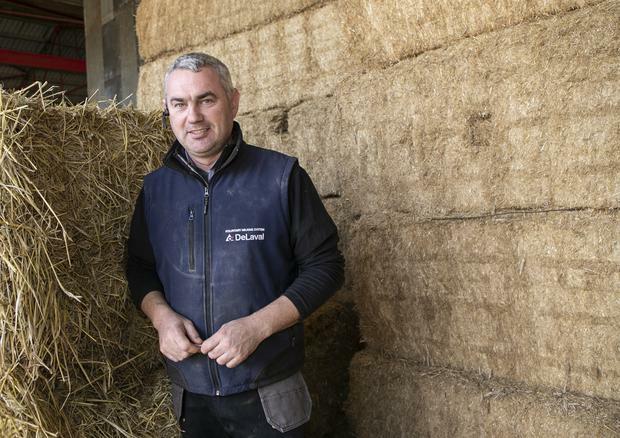 Willie, who has been farming since 1994, said that since his brother's tragic death, his priorities on the farm have changed. "We all say we're going to slow down and be more careful. When a farm accident happens, whether it's fatal or loss of limbs, it's life changing for everybody on the farm and it's tough. It's not until it knocks on your own door that you realise how devastating it is. Unfortunately, life goes on and we have to stay moving forward. We can't look back." Willie said that his brother Martin was an experienced and seasoned farmer, but that he still fell victim to dangers on the farm. 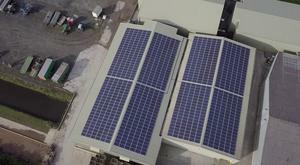 "We might be well-known in the farming industry but we're no different to any other farmers. We're born to work and we get the job done. Unfortunately, Martin was just unlucky. None of us would have known that there was gases in that tank. "When he went down to unblock it, he never even imagined it would have had gases. It's just to stop and consider all eventualities. It's hard to do, no doubt about it, when you're under pressure against the weather but there are more important things than getting that silage cut. Life is more important. "Just slow down and stop and think. Everything is dangerous on a farm. No matter how cautious we are and no matter how safe we all think we are, none of us are safe enough." The grieving brother said that the farming community have been a great support since the tragedy happened last year. "The Embrace tractor run came to our area and it was great, a big thanks to them all. We also had a fun day in memory of Martin, arranged by Martin's wife's family. It was a tremendous success. They raised over €9,000 and a big thanks to Tadhg Furlong for giving up his time at that. It was a very good day and a nice way to remember Martin. Embrace are great highlighting bereavements and farm accidents, it's very well supported. "The farming community always sticks up for and supports each other. It's nice in times of sadness."